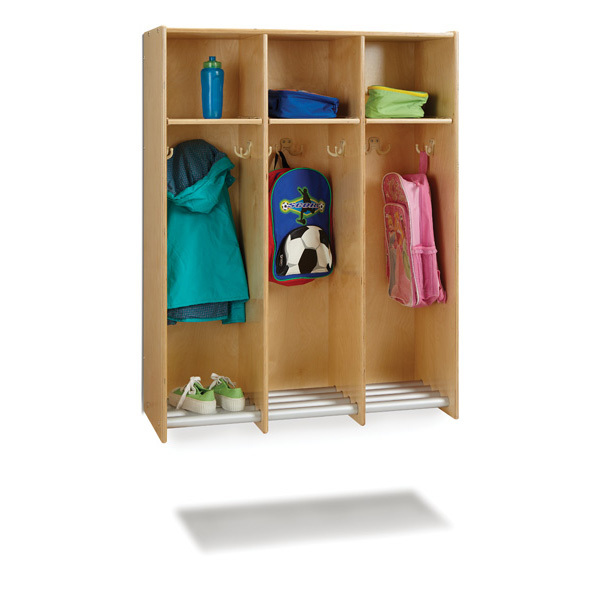 Organize your entrance with this three-section hanging locker. 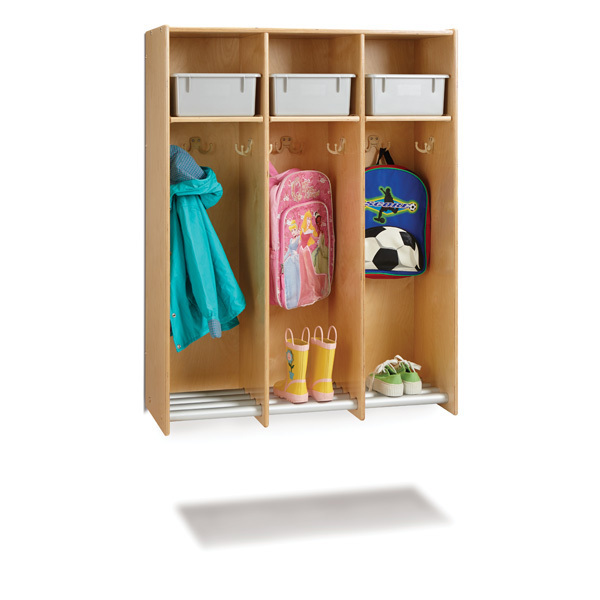 Each section features three double-hooks for hanging book bags and jackets and an opening for storing lunch bags, papers, and hats. Four aluminum tubes at the bottom of each section keep coats, boots, shoes, and more off the floor while allowing water, snow, and dirt to fall to the floor or into a boot tray (not included) for easy cleanup. Each section is 11-3/8” wide. Wall mount brackets included.